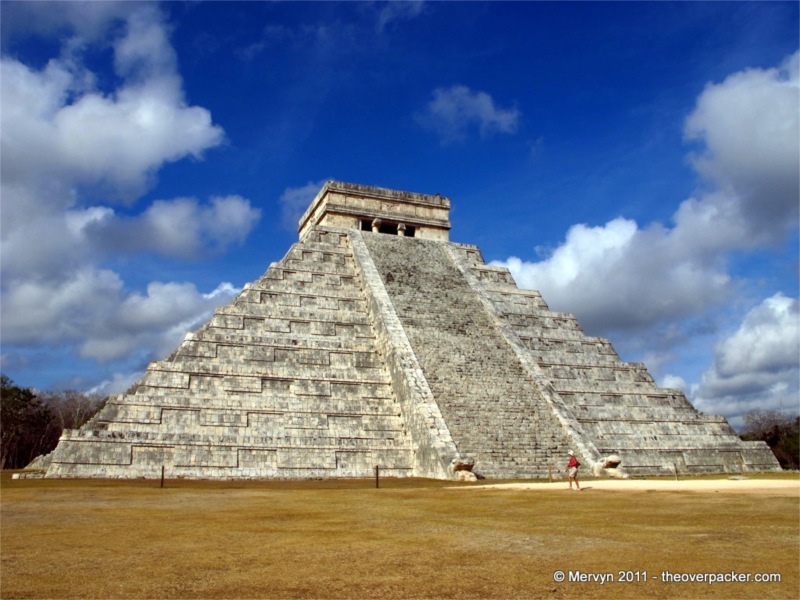 Chichen Itza is one of the modern seven wonders of the world. At least that’s what some Canadian-Swiss guy says; he conducted a worldwide vote where Machu Picchu, The Great Wall of China, and a giant Jesus also made it into the top seven. The vote reportedly was the largest Internet poll at the time. It was, to put it another way, a popularity contest within the elite group of people who could afford a computer, had an internet connection, and knew there was a “Seven Wonders” election going on. A decided advantage went to some sites. For example, Peru and Brazil’s governments begged their citizens to vote. 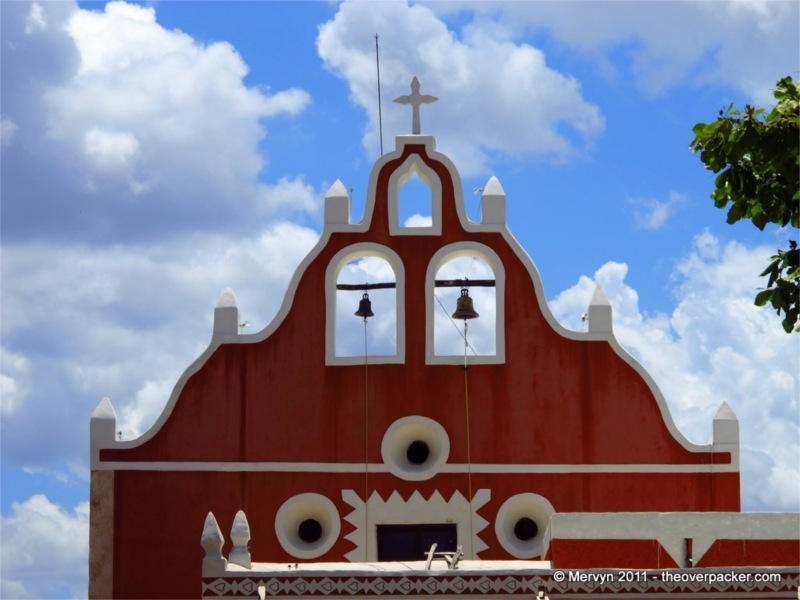 Mexican celebrities lobbied their countrymen for Chichen Itza. 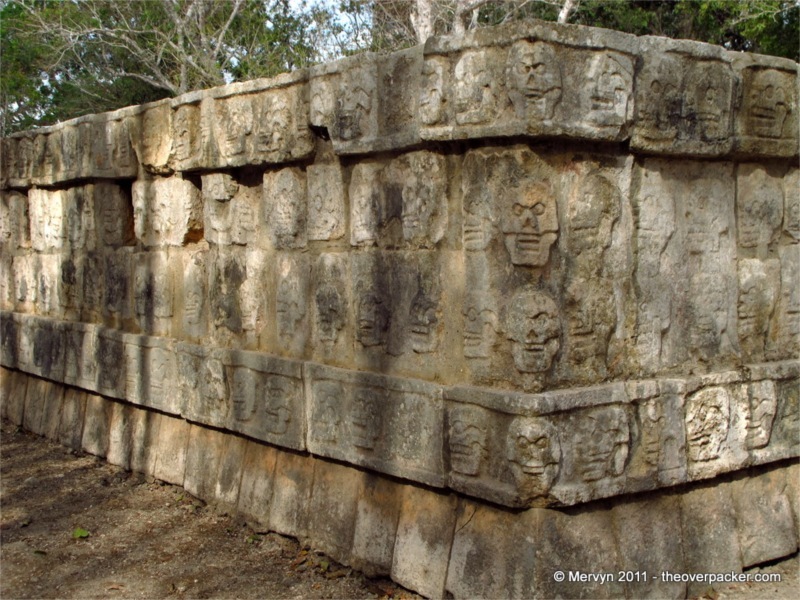 There’s a good reason, therefore, that Chichen Itza is typically overrun with tourists–according to the biggest Internet poll ever, somebody likes it. It’s not just a bunch of national pride zealots voting, either. The site is home to many a manmade marvel. 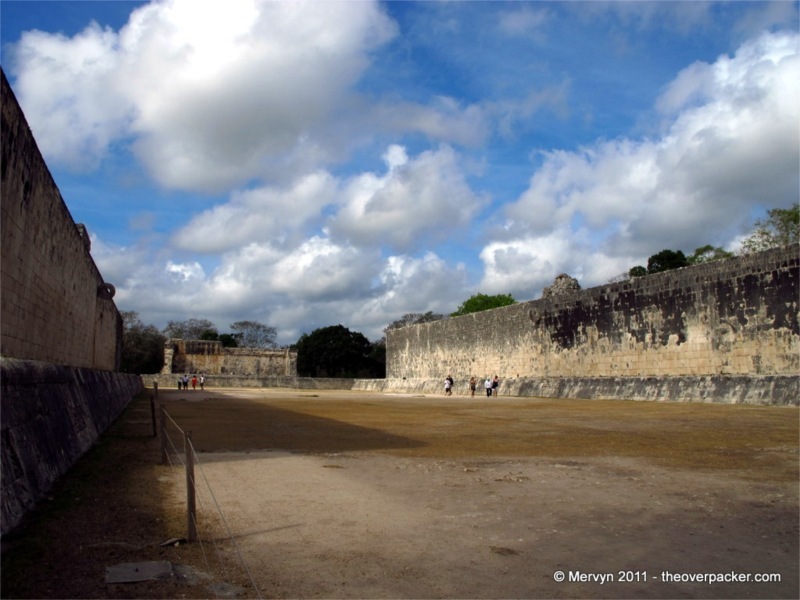 Chichen Itza has the largest juegaode pelota (ballgame) court in the world (96 m/315 ft long). The acoustics are such that a tour guide can speak French at one end and, at the other end, an American can clearly not understand him. 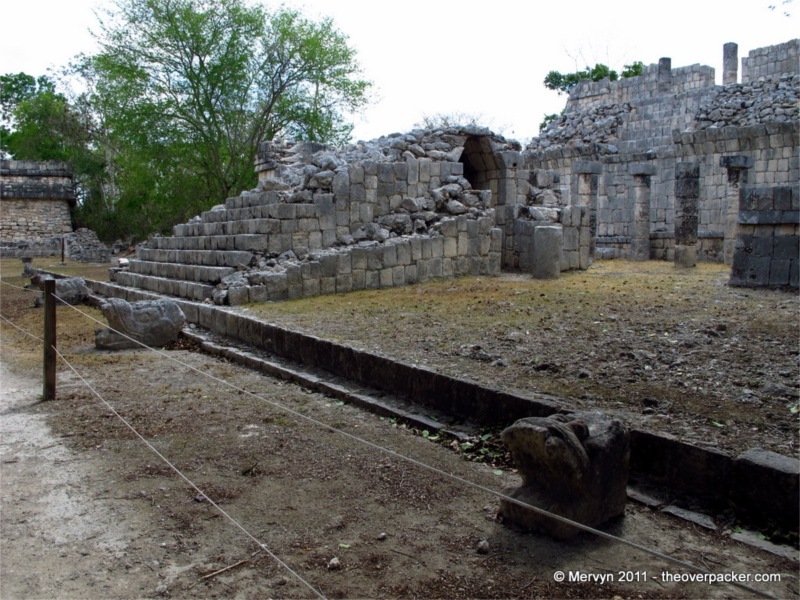 Steps away from the ball court are platforms covered in human skulls and another covered in tiger birds ripping the hearts out of humans. So it’s a cheery place. 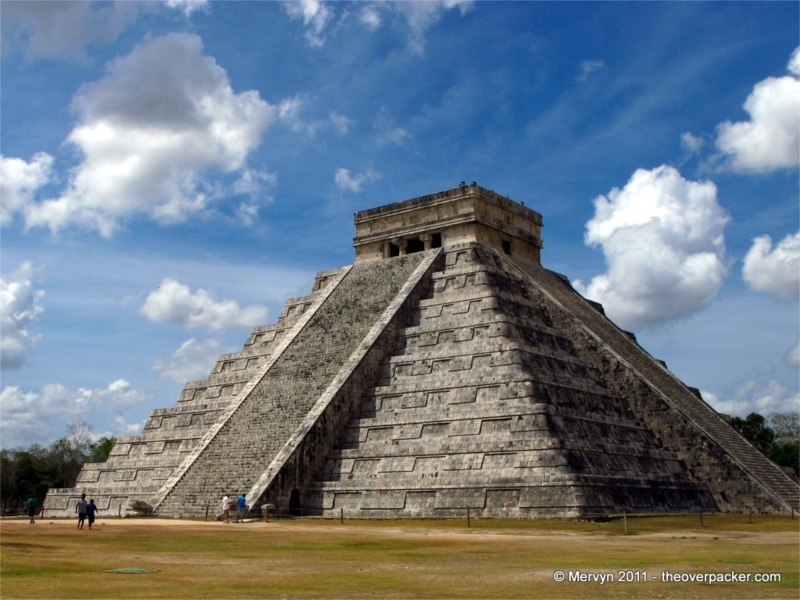 By far, Chichen Itza’s highlight is the iconic Castillo (castle) pyramid. 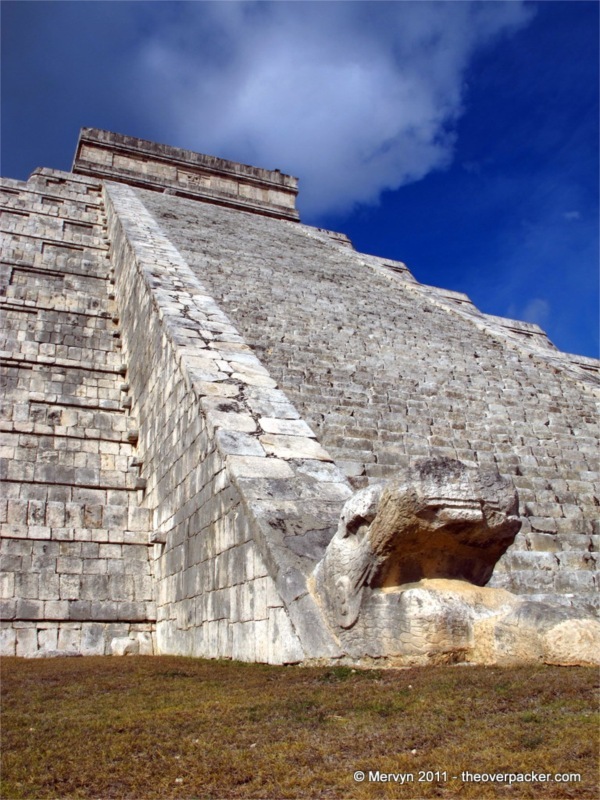 The temple is dedicated to the feathered serpent god Kukulkan. 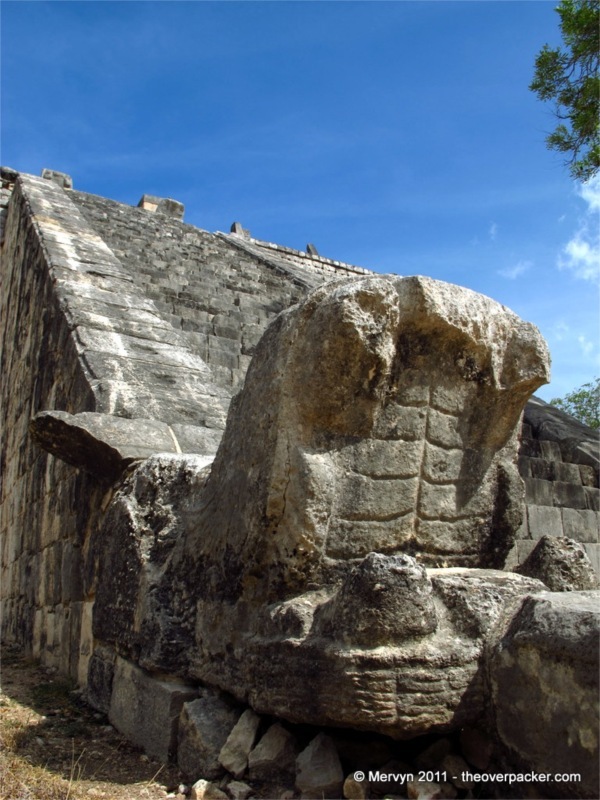 Pilgrims and tourists flock to the pyramids during the year’s two equinoxes to watch a shadow slither back and forth down the western staircase to a giant statue of a serpent’s head. No word on what happens if the shadow does not descend because it’s cloudy. Perhaps all the American hippie worshippers must bathe? 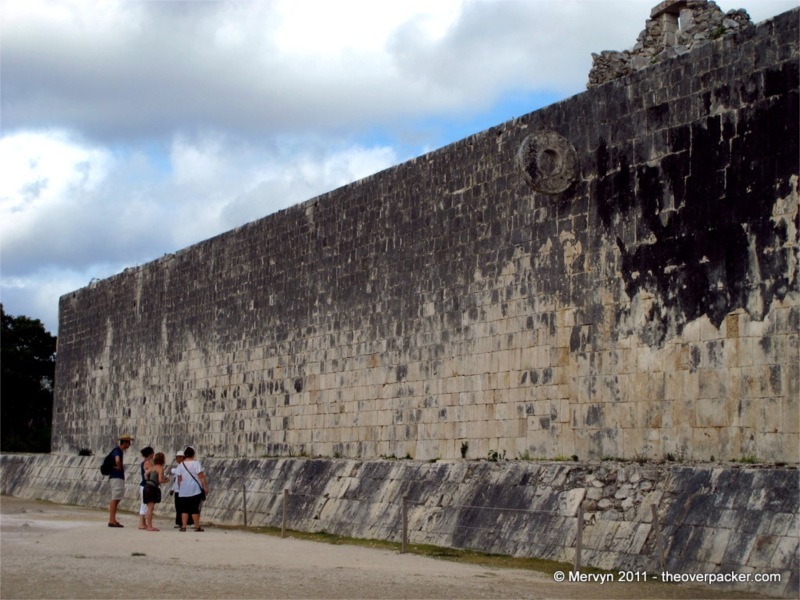 Chichen Itza’s proximity to Cancun probably ups the visitor count more than the ruins’ place on the “Wonders of the World” list. 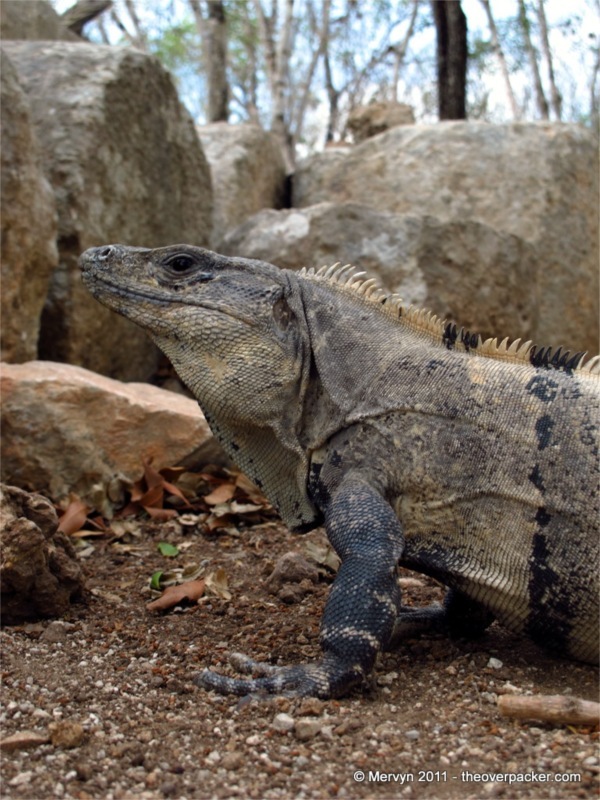 In just an hour and a half, tour buses from America’s Spring Break capital can invade the ruins. 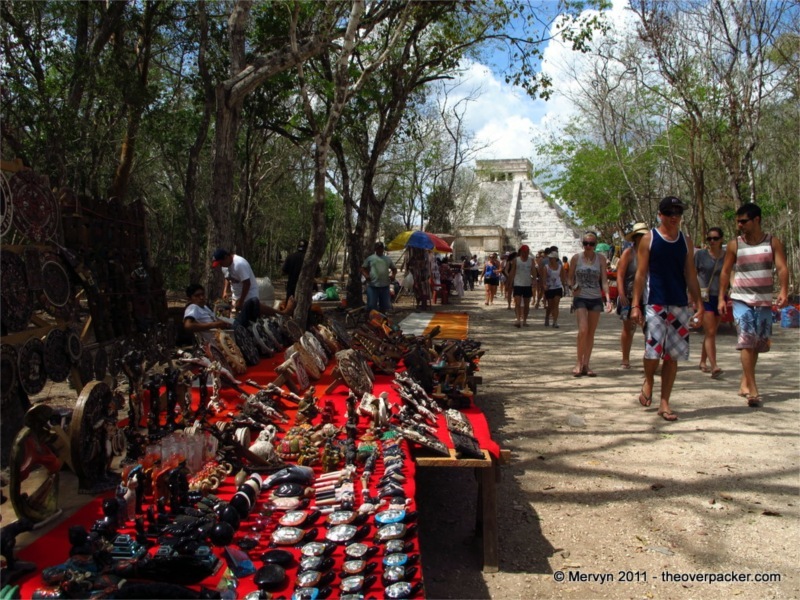 This army of day-trippers is met by an equally formidable force of entrenched souvenir sellers. The sales table emplacements are well-stocked and yet are barely a match for the waves of sightseers. The site’s notoriety comes at a price. 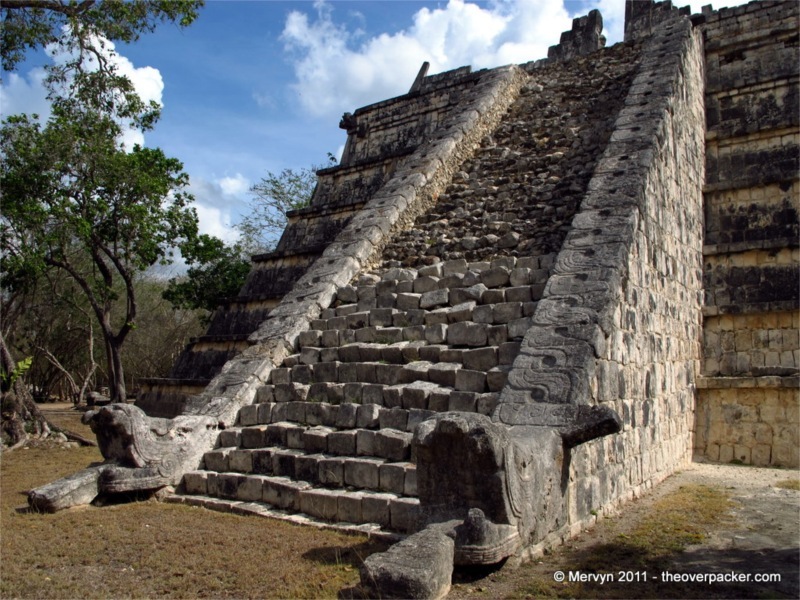 Unlike Uxmal or Teotihuacan you can’t climb any of the structures. 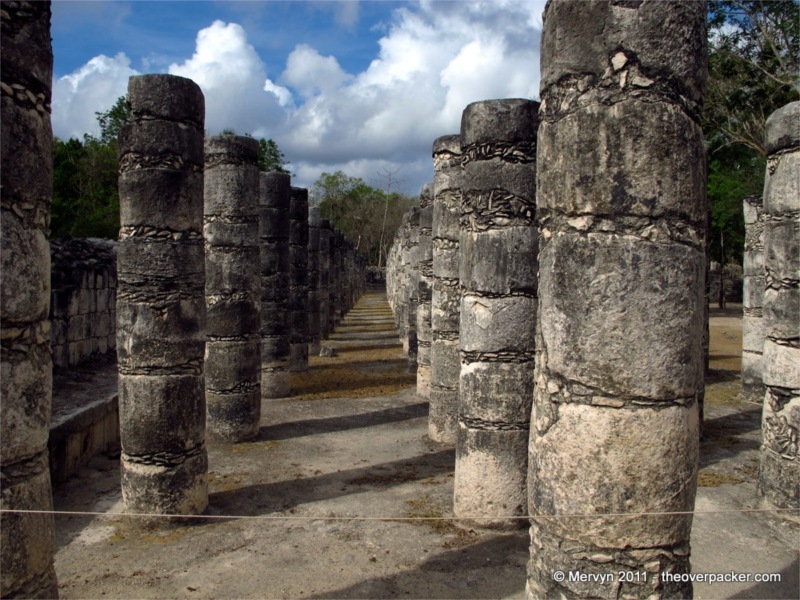 You can’t walk amongst the thousands of columns in the Group of a Thousand Columns or the Temple of Warriors. 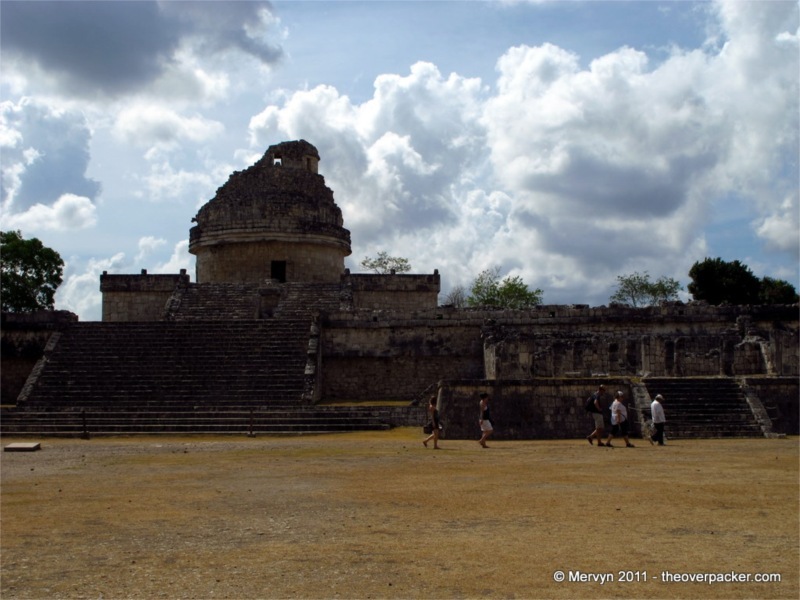 Until 2006, you could actually climb El Castillo. Now, no more. The stairs are roped off. 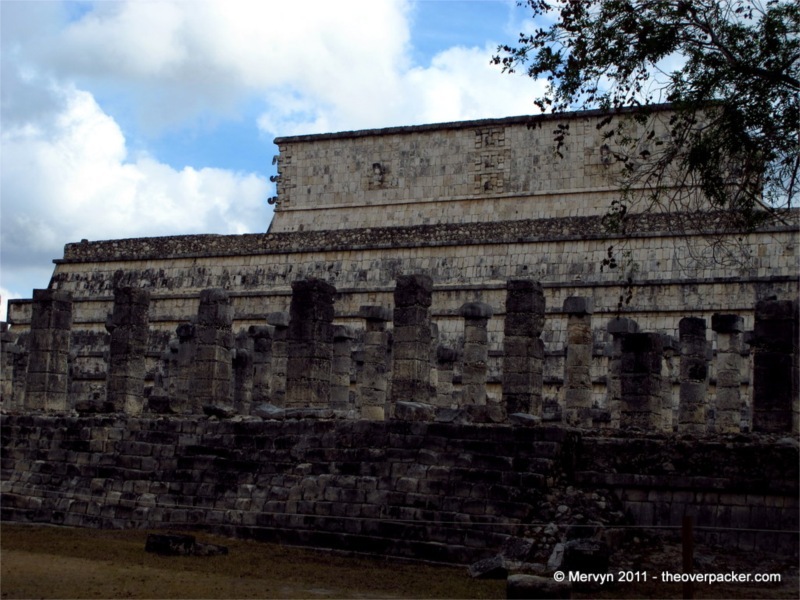 Chichen Itza is a sort of crystal ball for the (in my opinion) even more impressive Cambodian ruins. Someday you will not be allowed to wander amongst Angko Wat’s faces of Bayon. Soon you will not be able to stand atop The Leper King. 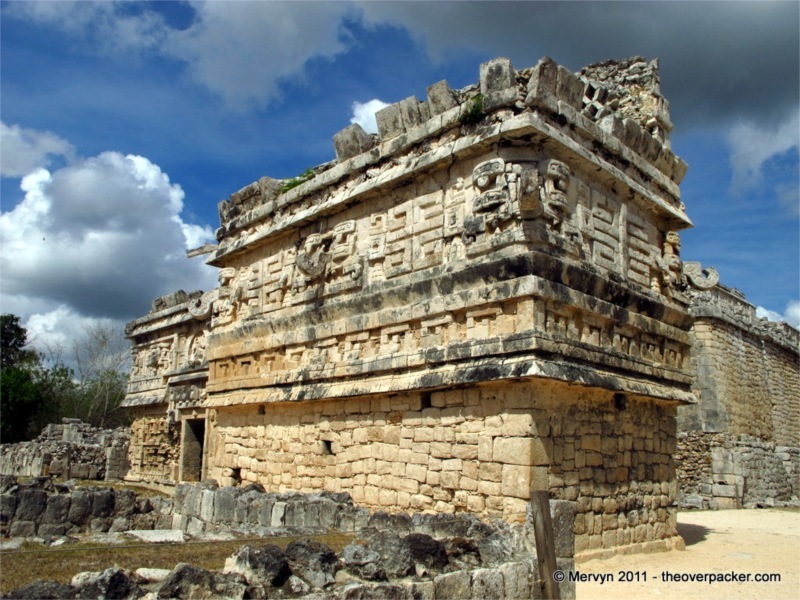 Eventually the outlying temples will be overrun with Chinese, Korean, and gringo tourists. The already imposing army of saleschildren will grow. It really does seem inevitable, Modern World Wonder ™ or not. Perhaps it’s the fate of all cultural icons. 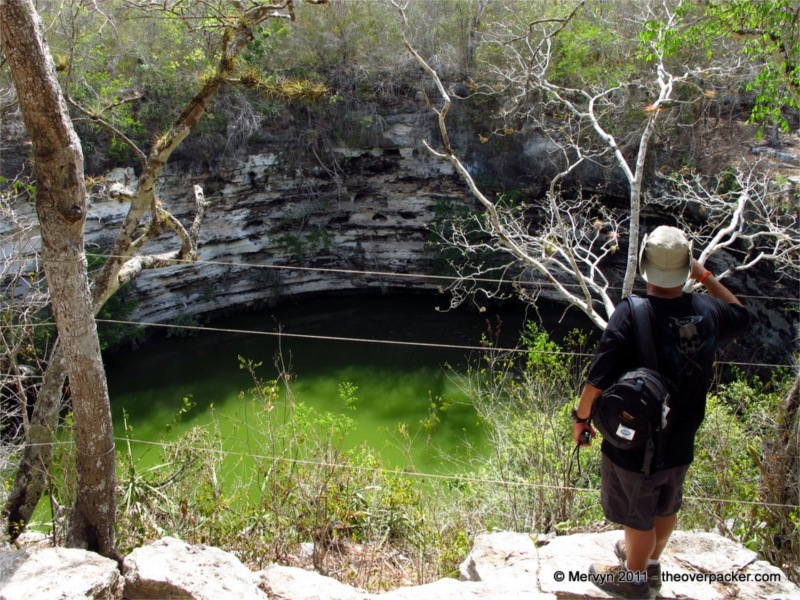 With or without the help of a world wonder obsessed Canadian-Swiss guy it might be that if something’s worth seeing, then it’s also worth roping off. GALLERY: No bonus pictures today. Instead, just stare the ones above for a moment or two. Speaking of future wonders of the world, I wonder (pun intended) what will be considered an historic achievement a thousand years from now when the US is slowly being excavated by our alien conquerers. I’m thinking it will mt Rushmore which they will add to their own Wonders pantheon out of respect for their defeated foes and gratitude that the massive stone giant people no longer populated the world when they invaded.